This is a hidden limit lense , Pentax SMC FA50mm f1.4. 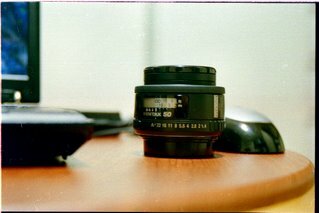 It have standard focal-length and good focus-ranges. It can be used in both of Film SLR and DSLR. Picture was taken by Polar 35-70mm f3.5-4.5.